CAUTION: PRESSURE VESSEL TURN WATER SUPPLY OFF AND FLUSH UNIT PRIOR TO SERVICING USE COLD WATER ONLY. The affected Flushmate III Series 503 units can burst at or near the vessel weld seam releasing stored pressure. This pressure can lift the tank lid and shatter the tank, posing impact or laceration hazards to consumers and property damage. This recall has been expanded to include all Flushmate III units manufactured from October 14, 1997 to April 30, 2011. The first six numerals of the serial number are the date code. The date code range for this recall begins with 101497 (October 14, 1997) and continues through 043011 (April 30, 2011). Between 8:00a.m. and 10:00 p.m. ET, Monday through Friday, and between 8:00 a.m. and 6:30 p.m. ET on Saturday. We must give our deepest thanks to the brave firefighters and all of the emergency responders from Doylestown and the surrounding communities who sacrificed so much to fight this fire for more than 6 hours. 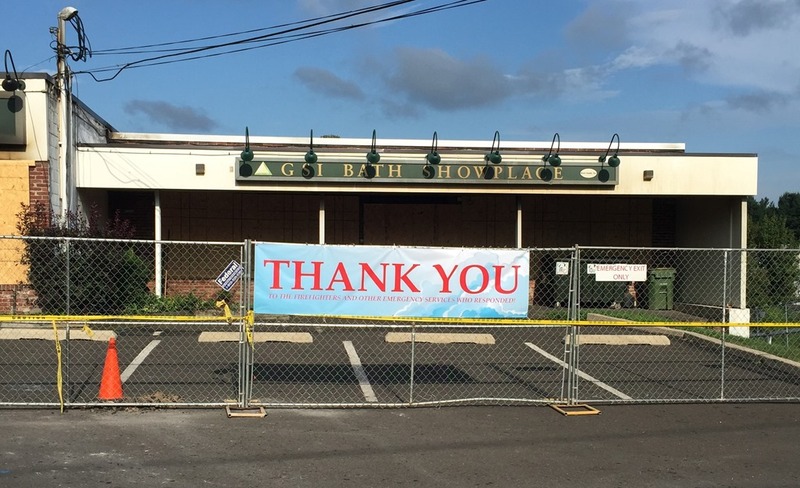 While our showroom could not be saved, through their efforts, further danger and damage to our friends and neighbors in the township were avoided.